In this post, I will show photo and video samples from each, and give a bullet point summary of their strengths and weaknesses. 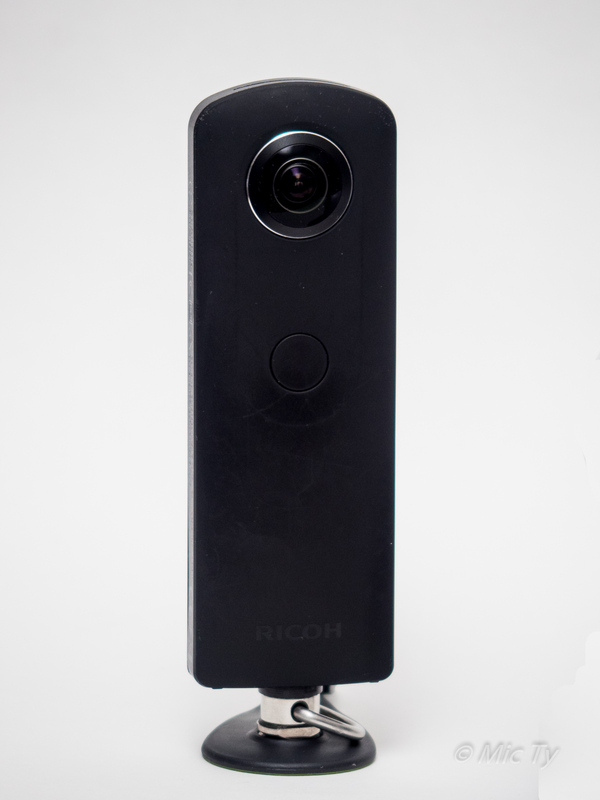 Y: Ricoh recently introduced the Ricoh Theta SC, which is almost identical to the Theta but costs only $300. In return, it loses the HDMI port and livestreaming. There is also a 5-minute cap on the video. 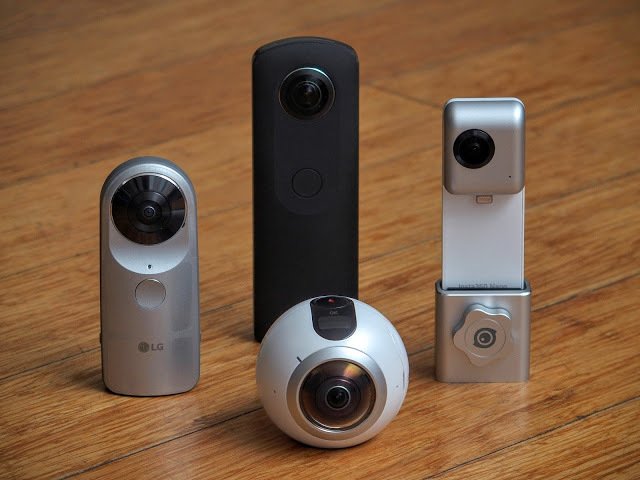 However, in other respects, it is similar to the Ricoh Theta S, and you can use the information below about the Theta S for the Theta SC as well. Here are sample photos in lower light (in shade, just after sunset). Here are sample videos from each camera, also in daylight and in low light. It’s a playlist, so you can use the playlist menu to select the video you’d like to see, and you can use “chapter search.” Please note that you need to manually select the highest available resolution by clicking on the “gear” on the lower right of the screen. o photos are sharp but have limited resolution (you won’t be able to “zoom in”). Summary: If you have an iPhone, the Nano is the easiest 360 camera to use. 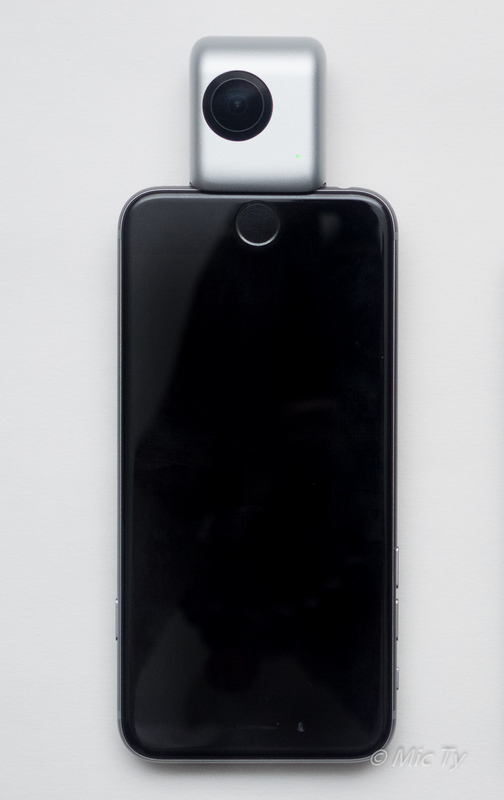 You just plug it into your phone, and you can share directly to social media. Photo and video quality are both very good, with punchy contrast and colors, making them ready for sharing without the need to edit. The Nano also has the best livestreaming capability for any 360 consumer camera, allowing you to livestream from anywhere, although even for the Nano, livestreaming is still a little technical (hopefully, YouTube will simplify the process). Available on Amazon here ($199). For related posts on the Insta360 Nano, click here. o slowest shutter speed is only 1/2 sec. Summary: The LG 360 Cam is a balanced camera that works with both Android and iPhone. It is the only one in this group that can be wirelessly turned on from standby. In my view, it is the most convenient to use because it is very compact and has a handy protective cover that makes it unnecessary to have a separate case. Available on Amazon here ($199 or less). 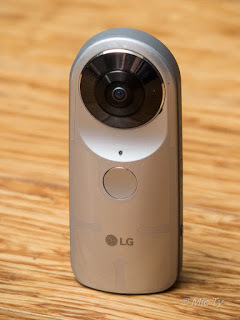 For related posts on the LG 360 Cam, click here. 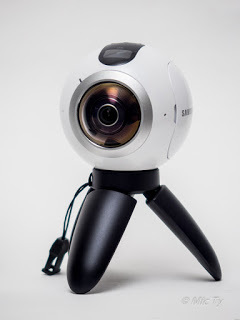 + best stitching among all 360 cameras due to the very short distance between the lenses. – memory is not expandable unless you’re willing to take the camera apart. – wireless connectivity is a little spotty. Summary: The best 360 still camera for photographers, next to the Panono (EUR 1499) because of its image quality and because it has the most complete set of exposure controls. Due to its popularity, it has the best support from third parties, and there are many accessories and software available for it. On the other hand, the video resolution is significantly lower than the competition. Available on Amazon here ($350). 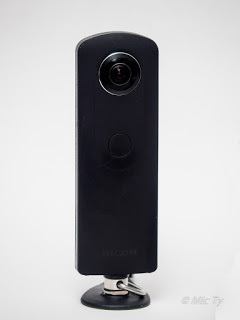 For related posts on the Ricoh Theta S, click here. – camera shape is inconvenient for usage and storage. Summary: If your priority is 360 video, this is the camera with the highest resolution video for this price range if you have a compatible phone and/or a compatible PC. For photos, it does offer the highest resolution (30 mp) but it is not the best for photos because of the blurgate issue and because it has very limited exposure controls. For related posts on the Samsung Gear 360, click here. 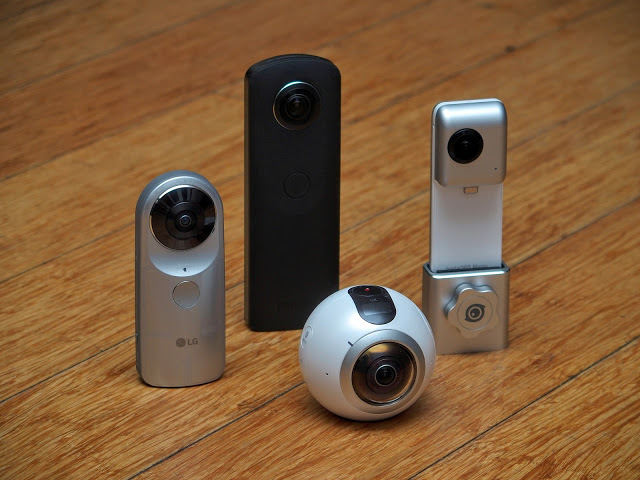 Have you tried any of these 360 cameras? Which one do you like the best? Let me know in the comments!